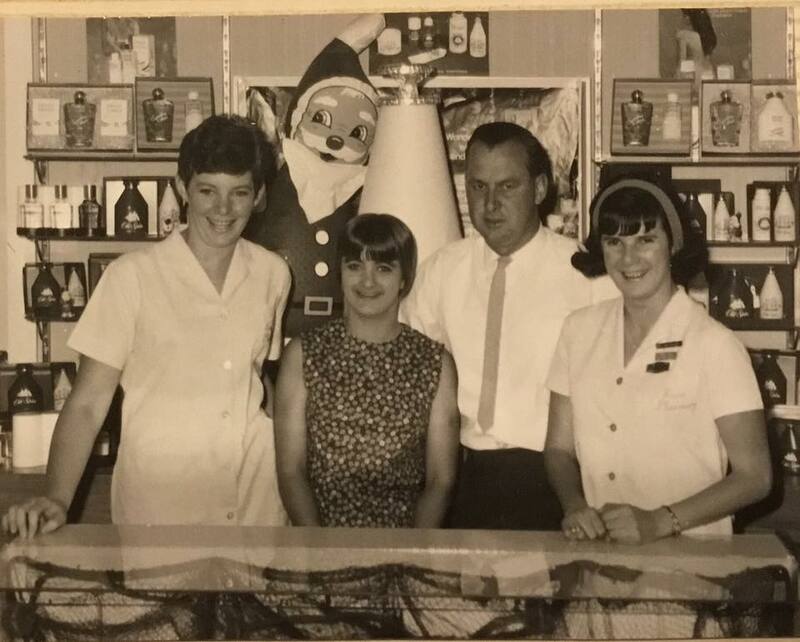 Staff of Knox Pharmacy Wynyard Street. Chemist- Geoff Morris. LtoR Barbara McAlister, Libby Beavan, Judy McPhee.